The Animal Rights Club hosted a lecture with one of the Top 10 New Faces in Cardiology, Dr. Travis Batts, on March 21. 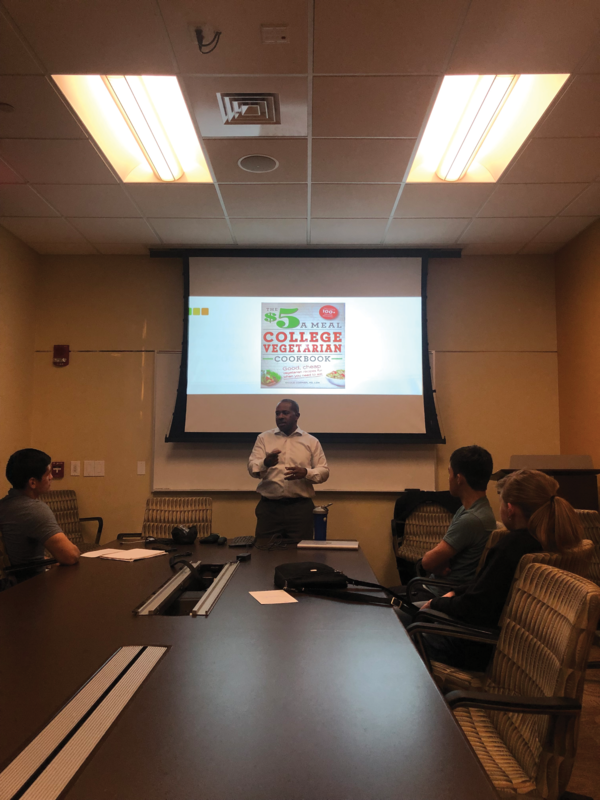 Dr. Batts has been known to promote healthy living through a plant-based diet, and the main goal of his lecture was to provide a way for college students to understand their health and show how to live a vegetarian lifestyle on a budget. “[The Animal Rights Club] helped put on a vegetarian cuisine cooking class and Dr. Batts spoke at one of the classes, so we contacted him and asked if he would speak to our club about the benefits of a plant-based lifestyle,” Katie Schreiber, junior environmental science major, said. During the lecture, Dr. Batts showed the benefits of a plant-based diet, which include cardioprotective properties such as inhibiting inflammation, boosting blood flow, reducing stress and a leaner body mass. Having begun his vegetarian lifestyle four years ago and lectured on plant-based diets the last two, Dr. Batts offers tips for those looking to transition into a plant-based diet. Dr. Batts suggested “Changing the Face of Your Plate,” meaning a larger incorporation of vegetables and the lessening of lean protein while still including whole grains and starch. 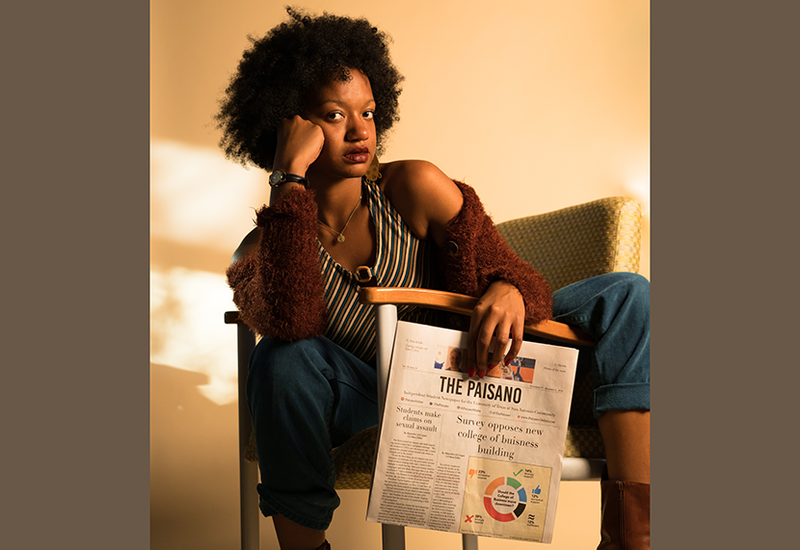 According to Dr. Batts, the implementation of a plant-based diet has been proven to increase cognition, assisting the average college student in their studies. Caffeine and energy drinks, the first things college students reach for as they pull an all nighter to study, are the leading contributors to heart disease. Incorporating a plant-based diet not only increases performance, but fuels the body. “If you have personal well-being and knowledge of where your food comes from, then you can find a certain level of comfort with [your] food,” Dr. Batts said. Dr. Batts’ main topic of the lecture was how to live comfortably on a plant-based diet as a college student. His most useful tool for students to live affordably is a cookbook for vegetarians that contains recipes for under $5 per meal. Dr. Batts’ lecture proved that a plant-based diet can be beneficial for students; all they have to do is decide to take the jump. “I have an acronym called ICAN: insight, understand what you are doing before you do it (I); create a community (C); active, become more active within your community (A); now, you put nutrition to work (N),” Dr. Batts said.